The Bahamas are the holiday destination of everyone’s dreams, or at least it seems so. The fantasy of walking down a white or pink sandy beach (yes, some of them are pink!) is pretty common and not surprising at all. The Bahamas are an archipelago of outstanding beauty and culture. But what should you do there? As one of the top honeymoon and general tourist destinations of the world, the Bahamas is a busy place year-round. You might want to head to the main cities for some excitement, to mingle with the cruise ships and glitzy hotels. In that case, jump right in. Nassau is the capital, where you can experience the Junkanoo festival that runs between Christmas and New Year with music, dancing and parades. Further out, but no less exciting, is the Pokerstars Championship, where right now top poker players are battling it out in what is often called the poker “unofficial Spring Break”. 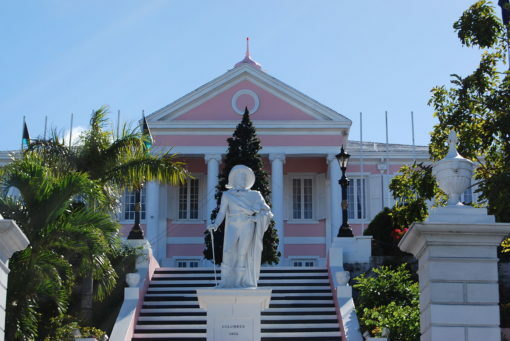 For some culture, the Historical Society Museum, Nassau is the place to discover the Bahamas rich history. Living like a local is possible wherever you choose to visit, so if you feel like doing some exploring, there’s no better way than doing it through food. The most famous and delicious seafood in Bahamas food heritage is conch – yes, it’s exactly what you’re thinking. The shell is beautiful, and the creature inside tastes a little like scallops. Restaurants make it into salads, ceviche and everything else you can think of. Head to the Fish Fry on Arawak Cay, or to Potters Cay for the cheaper, more local version. Another food phenomenon in Nassau has to offer is the bakery. Lots of pastry chefs have come to work on the islands and have developed a mix of Bahamian and European treats. Are you done with the bustle of the larger islands? The Out Islands, or the Family Islands as they are known by Bahamians, are the smaller islands further out into the archipelago. They offer a chance to relax and get into the outdoors, with snorkelling and diving available in many places. The islands are spread out over 180,00 square miles, and are accessible by sea and by plane. For an experience you can’t get anywhere else, consider diving in the Out Islands blue holes. These phenomena are deep caves in the limestone and coral beds of the islands, created over thousands of years by the steady trickle of acidic water. Some can be as deep as 663 feet. The island of Andros is the place to check out the most beautiful and accessible of these.